Age of house is estimated at 113 years old, but has not been verified. Home has had complete renovation. An absolute must see, has outbuilding, pavillion, partial fencing. 189 Pope St, Lebanon Junction KY 40150 is a Home, with 4 bedrooms which is recently sold, it has 1,602 sqft, 125X158 sized lot, and Driveway,No Garage parking. A comparable Home, has 4 bedrooms and 3.5 baths, it was built in and is located at 2075 Belmont Rd Lebanon Junction KY 40150 and for sale by its owner at $ 849,900. 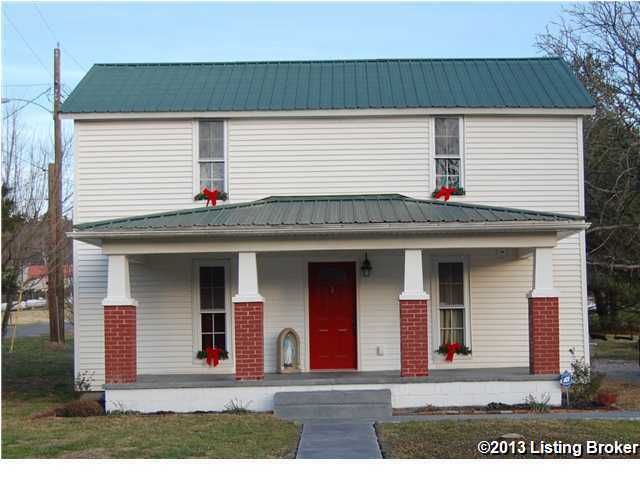 This home is located in the city of Lebanon Junction , in zip code 40150, this Bullitt County Home, it is in the NONE Subdivision, and WILSON CREEK FARMS are nearby neighborhoods.